A surge in violent activity by the Allied Democratic Forces (ADF) has demonstrated growing virulence in this mysterious group operating on the borders of Uganda and the Democratic Republic of the Congo (DRC). The number of violent events linked to ADF tripled in 2018, to 132 from 38 in 2017. Fatalities doubled to 415 over the same period. This includes the killing of peacekeepers from the United Nations Stabilization Mission in the Democratic Republic of the Congo (MONUSCO), as well as civilians along the DRC/Uganda border. In all, the deaths of 700 civilians have been attributed to the ADF since 2014. The ADF is one of the oldest, yet least understood militant groups in Africa. An offshoot of the Ugandan Tabliq/Salafi movement from the mid-1990s, it has been based for most of its existence in the DRC, where it became deeply embedded in local sociopolitical dynamics and conflicts. While this might suggest that it lost its Ugandan character, its goals still include the overthrow of the regime of Ugandan President Yoweri Museveni, and the bulk of its known senior leadership is Ugandan. The ADF has taken on many faces ranging from Salafi-Jihadi to secular-nationalist, ethno-nationalist, and secessionist, with each aimed at different audiences and employed for different purposes. While little is known about its internal workings given its highly secretive nature, one major challenge in developing a coherent strategy to defeat the ADF lies in the difficulty of determining which of these identities is dominant at a given point in time. To add to this complexity, the ADF has from time to time served as a proxy in the Great Lakes region’s extended and complicated conflicts. Recent reports suggest that the ADF is attempting to forge ties to the Islamic State of Iraq and Syria (ISIS). Its flag incorporates a new name, Madina at Tauheed Wau Mujahedeen (“City of Monotheism and Holy Warriors”). Documents and videos seized during MONUSCO operations suggest that it is currently focusing on establishing a caliphate in the region. The movement in recent years has also vigorously enforced strict Islamic law in its strongholds in the DRC and sought to radicalize and increase its recruitment of Congolese Muslims. The growing prominence of ISIS-inspired narratives in ADF propaganda videos coincide with efforts by the ADF to return to its Salafi roots so that it could exploit Jihadi-Salafi networks in East Africa. These efforts increased after its dramatic loss of territory in the wake of a series of military offensives by Ugandan, Congolese, and UN forces and the capture of its charismatic leader, Jamil Mukulu, in Tanzania in 2015. He is currently being held in Uganda on charges of mass murder, terrorism, and crimes against humanity at the Special War Crimes Division of the Ugandan High Court. The ADF was officially formed in 1995 as a merger between Uganda’s Tabliq movement and remnants of the secular National Army for the Liberation of Uganda (NALU). The former was dominated by Saudi-educated clerics and the latter by soldiers that rejected integration into Museveni’s National Resistance Movement (NRM). Its roots, however, go back to 1991 when a violent bid by the Tabliqs to control the Uganda Muslim Supreme Council led to the jailing of Mukulu and about 400 of his followers. Upon their release in 1994, they formed the Salafi Foundation and fled to Hoima in western Uganda where they set up training bases. Western Uganda was the NRM’s stronghold, and the political and symbolic value of starting a rebellion there was not lost on Mukulu. In 1995, however, the military overran the Tabliq bases, forcing them to flee to the DRC, where they linked up with NALU to form the ADF as a multi-ethnic front. The new alliance (calling itself ADF/NALU) also included West Nile Bank Front fighters who were loyal to former Ugandan dictator Idi Amin and backed by the Sudanese and Congolese governments. 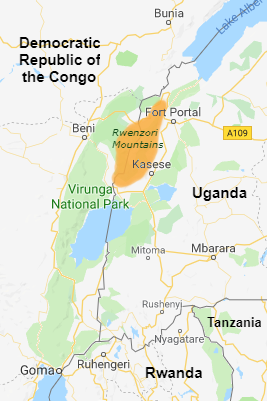 The ADF operates mainly in the mountainous Rwenzori region, affording it access to trade, the ability to blend in the community, and opportunities to tap longstanding tensions on both sides of the border. The rugged terrain also makes it difficult to track and engage them militarily. The ADF’s areas of operation in the DRC are concentrated along the Eringeti, Beni, and Bunia corridor, an attack zone stretching from Rwenzori to Ituri. ADF fighters also operate in North Kivu, thanks to opportunistic links to other local and foreign militias. During its time in the DRC, the movement has established “state-like” structures from prisons to schools, banks, and health centers. It has failed to establish a similar presence in Uganda, however, since it was ejected in 1995. Instead, it has conducted periodic raids into the country. While the ADF never lost its Salafi ideology it has been able to mobilize support and recruit along ethno-nationalist lines among remnants of the Rwenzururu movement that still seek an ethnic state straddling Uganda and DRC. Deadly clashes between Uganda government forces and suspected secessionists in 2016 confirmed fears of increased ADF recruitment in the area—particularly among the Bakonzo of Uganda and their Nande cousins in the DRC on the opposite side of the mountains. Support from Nande militants and their sympathizers in Beni, Bunia, and Butembo in Ituri sustains the lucrative but illicit border economy in coffee, timber, and gold that the ADF operates as an economic lifeline. The movement’s bonds with local communities are sustained by intermarriages, heavy local recruitment, and local businesses—lessons it learned from NALU. The ADF is also deeply intertwined in the politics of the Great Lakes region. In recent years, it has coordinated attacks in the DRC with various Mai Mai militias and the Democratic Forces for the Liberation of Rwanda, or FDLR, a remnant of the Interahamwe that is implicated in the 1994 genocide against the Rwandan Tutsi. These opportunistic links were formed during the First and Second Congo Wars (1996-2003), when the Mobutu and Kabila regimes armed the ADF to counter Ugandan and Rwandan troops in the east. The ADF’s seeming return to its Jihadi-Salafi roots follows three major offensives against it by Ugandan, Congolese, and UN forces: Rwenzori (2011), Radi Strike (2013), and Sukola I (2015-2016). These campaigns reduced ADF’s numbers to a few hundred fighters, down from several thousand at the height of the Second Congo War. Jamil Mukulu’s capture in 2015 dealt a further blow to the movement’s coherence, causing it to splinter. Activity by the group continued to decline as the Sukola I campaign intensified. In response to these setbacks, the ADF launched gruesome attacks against civilians in its strongholds in Beni, Bunia, Eringeti, and Butembo, punishing them for suspected collusion with government and UN forces. Attacks on civilians linked to the ADF increased ten-fold (from 4 to 46) between 2017 and 2018. Likewise, civilian fatalities linked to the ADF accounted for half of the 415 total deaths tied to the group in 2018. The surge in ADF attacks has been accompanied by a propaganda campaign built around ethnic and jihadist narratives. The surge in ADF attacks has been accompanied by a propaganda campaign built around ethnic and jihadist narratives that has brought in fresh recruits from Burundi, Rwanda, Tanzania, and Uganda. Rwanda’s small Muslim population has traditionally not been targeted by jihadist groups. 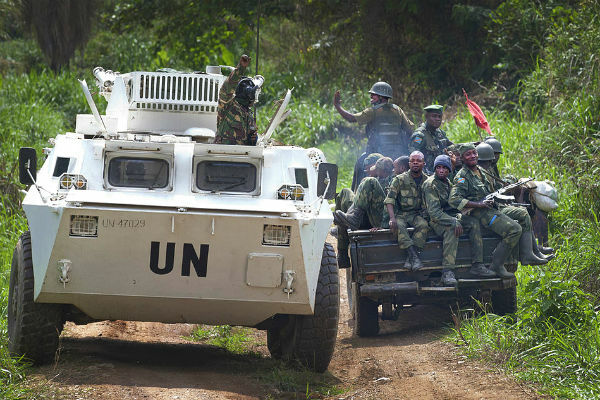 Nevertheless, the 2018 Final Report of the United Nations Group of Experts on the DRC found that the ADF has used Rwanda as a transit point for recruits destined for its strongholds in Beni. Like Rwanda, Burundi’s Muslim population is small, but its vulnerability to radical recruitment has increased alongside the ongoing political and security crisis and youth militarization. The movement also has recruitment cells in South Africa and Tanzania, and there are fears of stepped up recruitment along the Rwenzori. Its latest propaganda videos call for the killing of “non-believers” so that they will not inform on the movement. Islamic law is also being enforced with more vigor in its camps as its aggression toward the local population increases. The shift in tactics from building ties with local communities to killing them has led to widespread public resentment. However, the DRC government’s failure to provide services, coupled with a lack of discipline and impunity among its security forces has undermined efforts to isolate the ADF politically. The latest UN report confirms that the movement benefits from outside assistance but specific information about its financiers remains murky. The ADF’s ability to integrate itself into the Rwenzori borderlands, understand and tap local grievances, and insert itself into the larger Great Lakes conflicts accounts for much of its longevity. Likewise, the ADF’s skill in combining multiple ideologies to mobilize and recruit fighters has been a major factor in its resiliency. Efforts to make sense of this group and develop effective counter strategies should take into account its many faces and elements rather than using a singular template. Understanding and unlocking these complex features will require sustained intelligence-led security operations and greater regional cooperation and coordination. The International Conference on the Great Lakes Region will have a role to play in this regard, as it provides a mechanism to address cross-border conflicts and joint security and intelligence operations. The AU-led Regional Task Force for the Elimination of the Lord’s Resistance Army (LRA) is a noteworthy example. The combined efforts of Ugandan, South Sudanese, and Central African Republic forces, supported by U.S. technical intelligence assets and advisors, played a major role in breaking the back of the LRA rebellion. The ADF’s resilience also highlights the longstanding lack of government authority in many parts of the eastern DRC. In Uganda, the ADF has not been as successful in holding territory largely because the Ugandan central government has relatively more control of its borders, and its local governments have been better at providing services to communities. The ADF’s ability to mobilize and exploit local sentiments across multiple social, cultural, religious, and political landscapes underscores the need for robust public engagement strategies to counter the ADF narrative exploiting grievances in the Rwenzori borderlands and the eastern DRC. As long as the ADF can continue to tap multiple religious and secular grievances, a lasting solution to it will remain elusive. Congo Research Group, “Inside the ADF Rebellion: A Glimpse into the Life and Operations of a Secretive Jihadi Armed Group,” Special Report, November 2018.
International Crisis Group, “Eastern Congo: The ADF-NALU’s Lost Rebellion,” Policy Brief No. 3, December 19, 2012. Rigobert Minani Bihuzo, “Unfinished Business: A Framework for Peace in the Great Lakes,” Africa Center for Strategic Studies, Africa Security Brief No. 21, July 2012. Paul Nantulya, “Exclusion, Identity and Armed Conflict: A Historical Survey of the Politics of Confrontation in Uganda with Specific Reference to the Independence Era,” in Politics of Identity and Exclusion in Africa: From Violent Confrontation to Peaceful Cooperation, Konrad Adenauer Stiftung and Universiteit Van Pretoria, July 2001.